The Employee Network is really 2 parts. The 1st part is that we are the employee discount program to many of the nation’s largest employers. 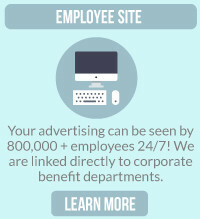 With links from these corporations benefits departments, their employees are able to get employee discounts on various theme park tickets and other travel opportunities or even on a roof repair, new car or cable tv and more. 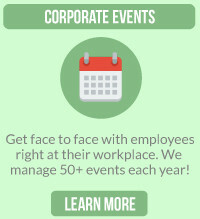 The 2nd part is that we host onsite employee fairs at many of these corporations where you would have the opportunity to meet the employees right where they work! The Employee Network is designed to introduce our 800,000 Members to you directly. These events give our Merchant Partners opportunities to meet face to face with our Members right in their own work place. We’ll feature Employee Network in the same space as Universal Studios, Enterprise, The Suns, Chompies, Grand Canyon University and more. The Employee Network is the #1 source for branding and increased sales of other elite Merchants that you know and trust. 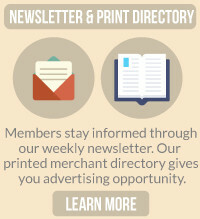 Our Members will find your business and services easily on our Member Site long after we introduce them to you. Our business is built on relationships not quantity so we won’t overload your category with just anyone that comes along. We invite you to be a part of this unique program that will help build your brand and your bottom line. CLICK HERE if you’re interested in offering discounts!